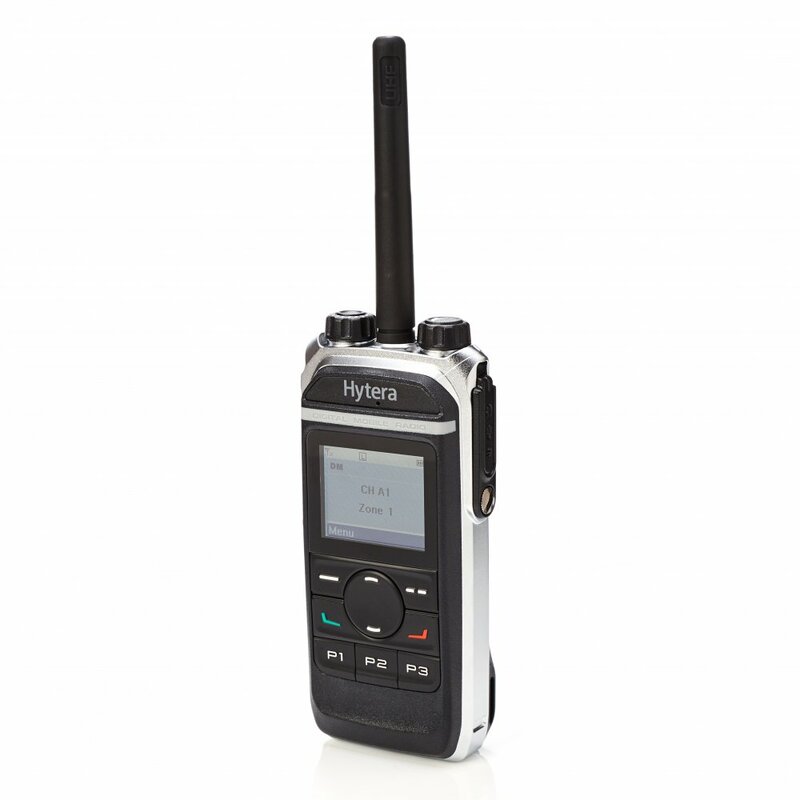 Delivering superior voice clarity and enhanced encryption, the Hytera PD665 handheld digital radio is a compact, high quality device with LCD screen and programmable keys. At just 27mm thick and 310g, this radio is a popular choice and ideal for long shifts. 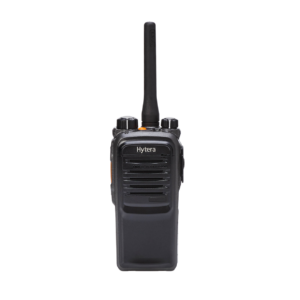 The PD665 series from Hytera are only 27mm deep, making them particularly slim. The chassis is encased in a high-quality aluminum metal frame and with a weight of only 310g (PD655/PD685), these handsets are easy to carry for long operations. With the 1500 mAh standard lithium-ion battery, the PD665 series handsets can achieve an operating time in digital mode of at least 16 hours. With the optionally available 2000-mAh battery, this could be up to 20 hours. The PD665 series can be operated in TDMA Direct Mode and Pseudo-Trunk mode. This assignment of the available bandwidth with double the number of channels leads to a signicant easing of the increasing shortage of frequencies in the operation of DMR mobile radio systems compared to analogue mobile radio systems. The frequency range in UHF is oered from 400 MHz to 527 MHz. The PD665 series was developed in compliance with the ETSI DMR standard. Digital Mobile Radio (DMR). 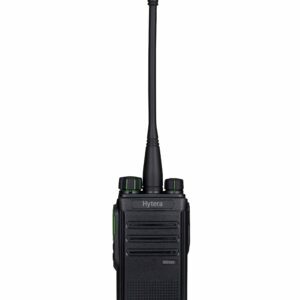 The handheld radios support the conventional DMR operation and can also be used in analogue mode. 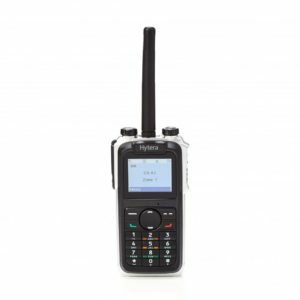 This makes the terminals of the PD665 series the ideal companion for the migration to digital mobile radio. In addition to conventional DMR (DMR Tier II) and analogue modes, all PD665 radios support operation in DMR trunked (Tier III), XPT digital trunking and MPT 1327. The PD6 series from Hytera are only 27mm deep, making them particularly slim. The chassis is encased in a high-quality aluminum metal frame and with a weight of only 310g (PD655/PD685), these handsets are easy to carry for long operations.